How to buy and see my booking pass ? How to book your online collective code class on the calendar with Booking Pass? Where can you see your bookings? 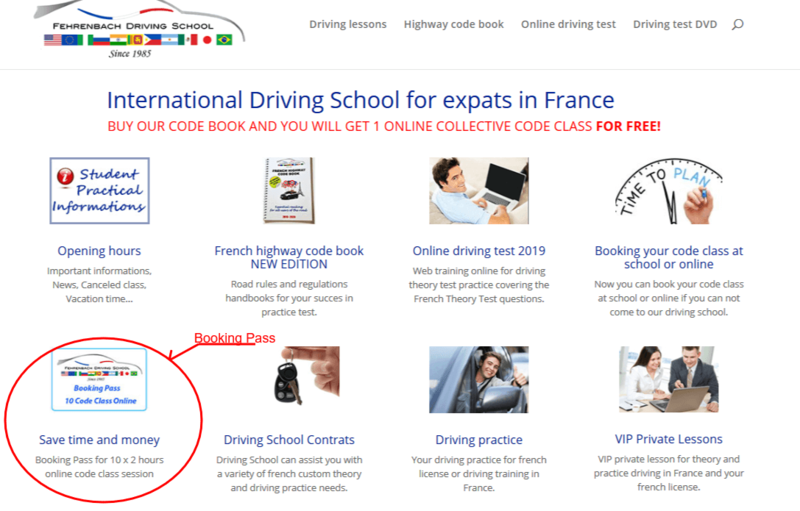 You can buy a booking pass on the home page of our website frenchlicense.eu (as shown below). 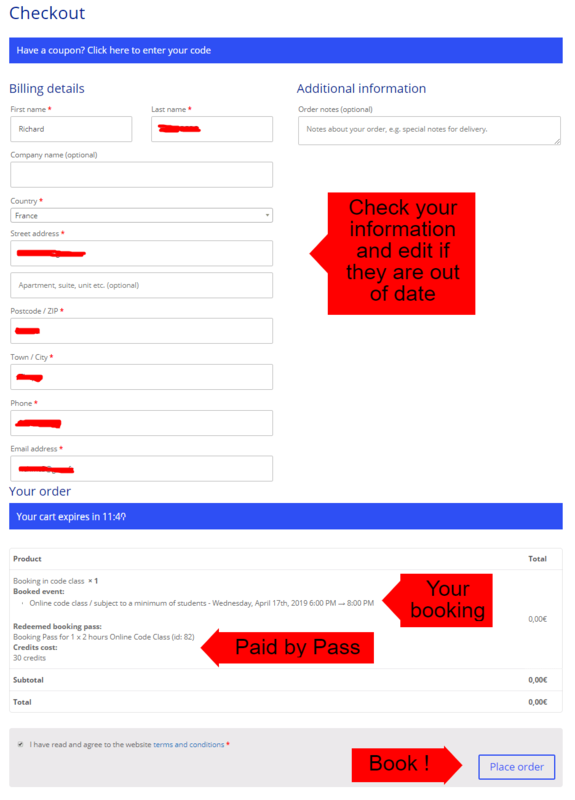 After buying your Booking Pass, you can go to your account page and view it (as shown below). 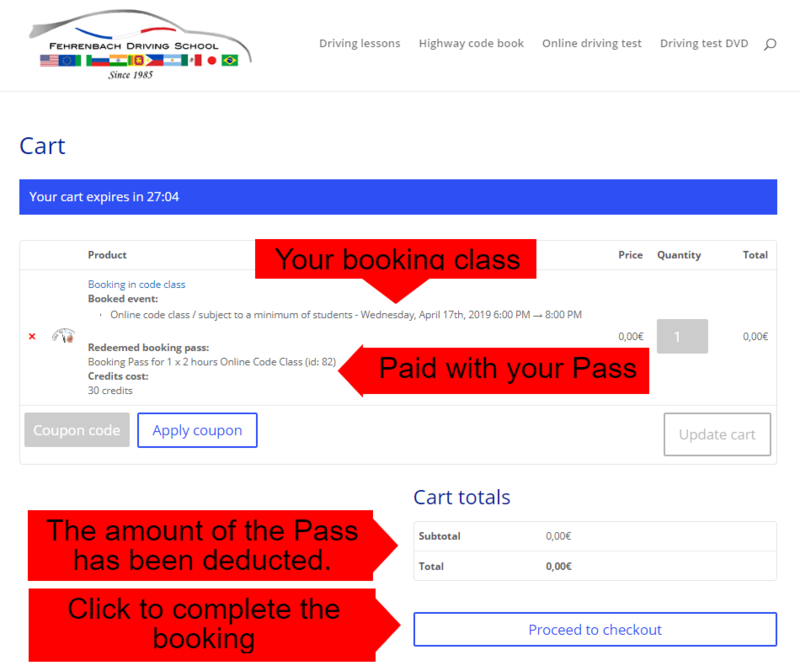 Note that your booking pass has a value in Euro that only allows you to book your place in online code class. 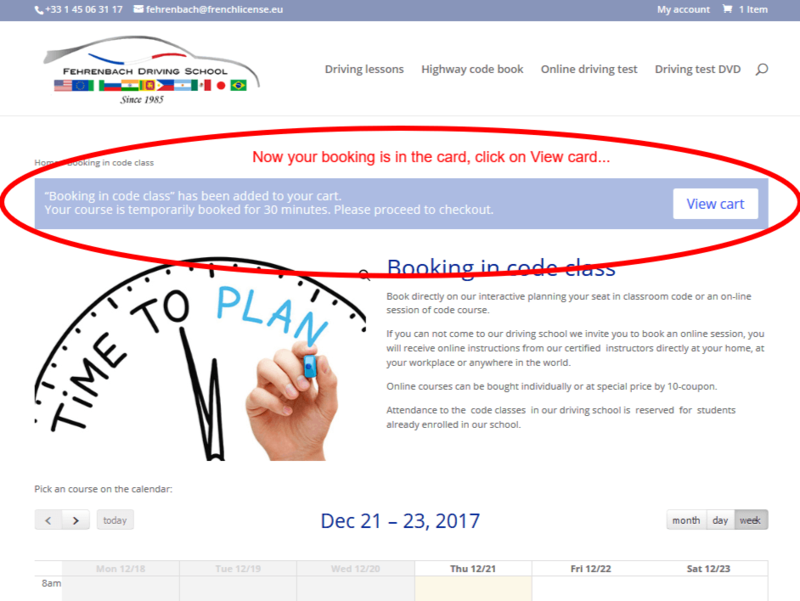 How to book your course on the calendar with Booking Pass ? Go to the calendar from the “Time To Plan” section on the homepage. and follow the indications as seen below. After clicking on the “Book” button, your booking will be in the cart for 30 minutes, after which time it will be available again on the calendar if you have not completed the booking process. After having booked your date in the calenda, your booking will appear in the Cart as below. Now you just have to place the order in order to definitively book your course. Now your booking is complete, as indicated below with all the booking and payment details. Where can you see and change your bookings? 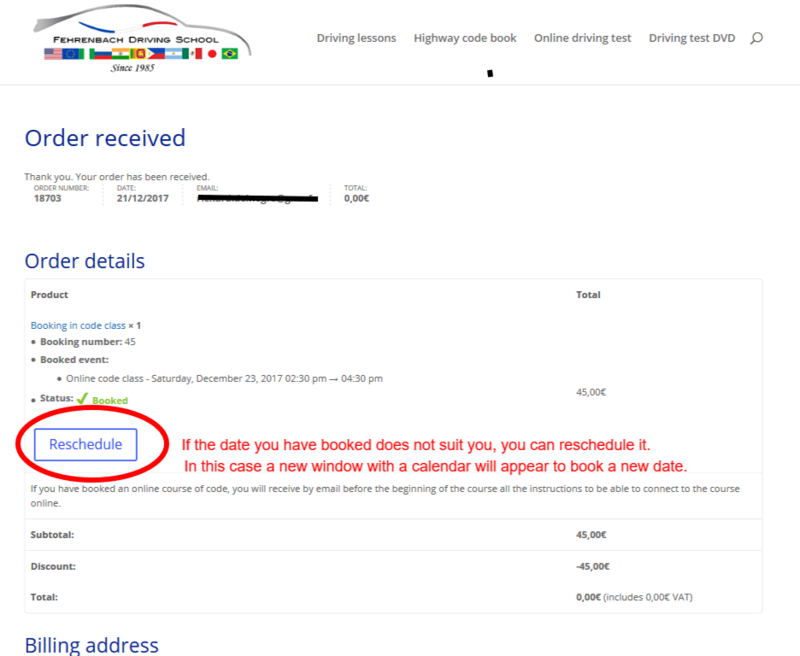 After having clicked on “My Booking” you can see all your bookings. If you wish to postpone a course, simply click on the link “Reschedule” corresponding to the booking and click on a new date in the small calendar that will be displayed. Will I receive a confirmation email ? YES ! After booking your course, you will receive a confirmation email and a booking confirmation email as below. One day before your course, you will also receive a notification by e-mail to remind you of your booking.